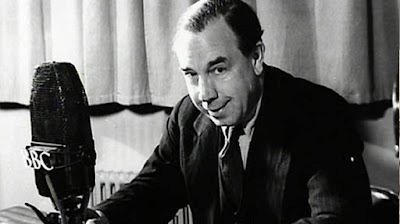 J.B. Priestley was a myriad-minded man whose outward appearance -gruff, blunt Yorkshire man birthed in the Edwardian era - and authorship of popular novels and plays of social realism disguised deeper veins of interest - in metaphysics, in time and in depth psychology. The outward form has tended to contribute to a decline in his reputation. The inward life at the cutting edge of thought should revive it. This point is admirably argued by Anthony Payne in his new book on Priestley's inner interests, "Time and the Rose Garden: Encountering the Magical in the life and works of J.B. Priestley". 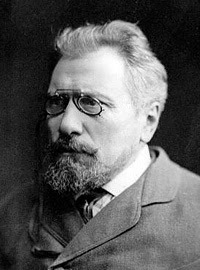 The nineteenth century Russian author, Nikolai Leskov, was apparently not an easy man. The friendships he made were often fragile and ended up broken. Part of this brittleness was conditioned by his own sensed 'inferiority'. He had come from a relatively poor background, he lacked a formal education; and, he singularly failed to master the art of the long novel. Yet as a 'self-educated' autodidact, he absorbed expertise in multiple fields and deployed this knowledge to great effect in his multiplicity of works: fictional and non. He is a master of the short story and of the form that has a narrator introduce a story teller that allows for the immediacy of colloquial report, that gathers you to a place where you listen attentively to an uninterrupted voice. "The Mighty Dead: Why Homer Matters" by Adam Nicolson is a beautiful account of the author's adult rediscovery of Homer having labored unhappily to translate parts of it as a school child. It is an exploration of both who Homer was, where 'he' came from and why we continue to read him. 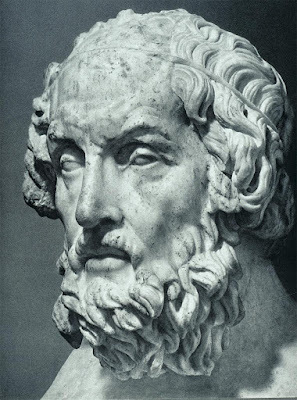 Of course, 'Homer' probably was not, by which I mean that there probably was a Homer figure who first oversaw the transcription of a living oral Homeric tradition onto the page turning the two great poem sequences into text. He was possibly the first of a number of such people who provided variant texts, later edited into a more or less 'whole' version in Alexandria. He may even have been called Homer or then again maybe not! Many are the mysteries that abound. and the wind a grain of salt. It began with a poem, this poem, in Mark Oakley's 'The Splash of Words: Believing in Poetry' - a wonderful series of meditations on particular poems, one each chapter. 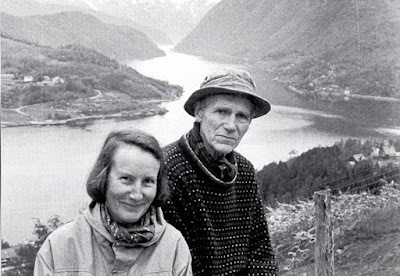 The poet is the Norwegian, Olav H. Hague (1908-1994). I immediately ordered, 'Luminous Spaces: Selected Poems & Journals' and was enjoying dipping until, at the weekend, recovering from a stomach bug, I decided to read them through and fell wholeheartedly for a new friend.